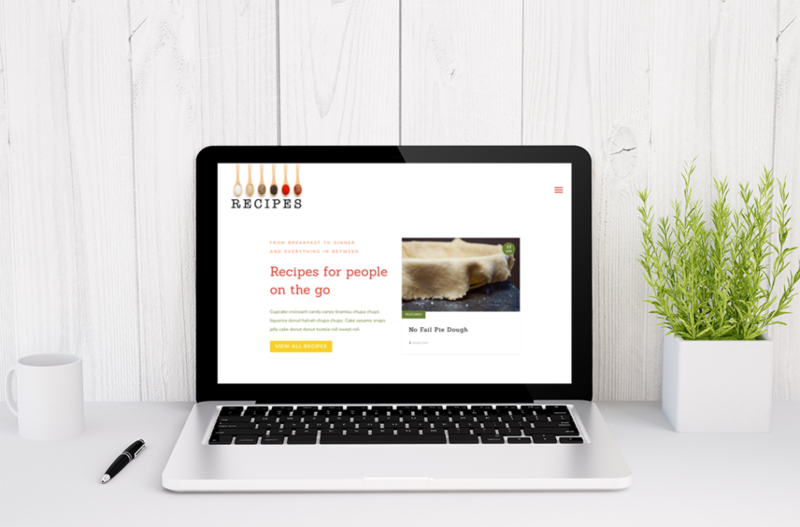 Recipes is a child theme for the Divi Theme from Elegant Themes and is an excellent starting point for someone who is just starting their recipe blog. The recipes that are in the child theme are actually family favorites. 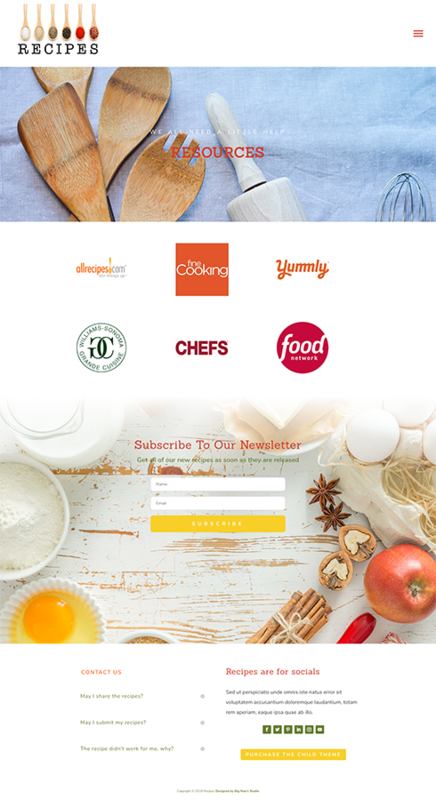 The recipes are built with WP Recipe Maker's free version. I chose this plugin because as you grow your blog, the plugin will grow with you. Recipes is compatible with Divi Version 3+. *Because the header is made with as text files you will not be able to show your different categories on your blog pages.